This is the third in our series of maker interviews produced by The City Story. Using sustainably-sourced natural and raw materials, Lo Blästa crafts Scandinavian wheat packs with hypoallergenic linen that are perfect for both targeted pain-relief and general comfort. We find out more about her brand Blästa Henriët, and how it connects her to her roots. The City Story: Tell us a little about your affinity to natural ingredients and the process of working with plain linen and grain. Lo Blasta: I love the simplicity and feel of natural materials. Linen has become our go-to as it has so many amazing qualities besides just looking great: it’s durable, breathable, and hypoallergenic – the ultimate everyday fabric! It’s also one of the most sustainable textiles to produce, as flax requires no irrigation or pesticides and very little water to grow. It’s also important to me to work with local suppliers that we can trust and to know the origins of the ingredients we use. The grain we use for filling the Wheat Packs is grown in the Cotswolds and has been tried and tested to make sure it’s just right for our products. TCS: What is the story behind the name Blästa Henriët? LB: Blästa and Henriët are the surnames from the two sides of my family, which are Swedish and Dutch respectively. There have been many artists and creatives on both my mum and dad’s sides of the family, so I feel proud to be able to carry on that legacy. TCS: Describe to us your studio space in South East London. What about this area inspires you? LB: My studio is at the top of an old brick building which gets gorgeous afternoon sunlight. It has white walls, tall pine shelves, and seemingly endless stacks of boxes and linen panels. The area I’m in is vibrant and friendly with lots going on. I love biking through the city to work as the hustle and bustle fills me with energy, and seeing people and sensing community is always inspiring. TCS: What makes your wellbeing products special? Would you say it keeps you connected to your roots? LB: My work keeps me connected to my roots in many ways. I grew up on natural home remedies and around my dad’s fabric-cutting table. Much of the knowledge I have is thanks to my upbringing and my creative parents. My products were also created to fulfil a personal need and, therefore, they have evolved thoughtfully using the best materials available. All our products are tried and tested over a long period of time to ensure that they will last, and that we ourselves honestly love them before adding them to our collection. TCS: Describe your product 'The Wheat Bag' to us in three words. TCS: Who are the various interesting clients you've met in London through your work? What do they enjoy about your product? LB: Oh man, I’ve met so many lovely and interesting people living in London! It can be a fleeting, yet inspiring, meeting or the start of a lifelong friendship. 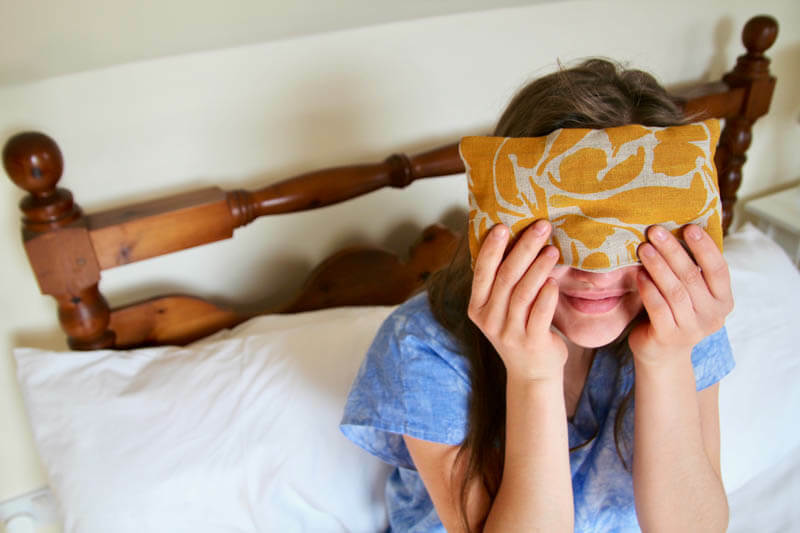 I think that people really appreciate how well-made our Wheat Bags and Eye Pillows are, and that you can use them for so many different things – as natural pain relief for various ailments, in yoga and therapy, during pregnancy or just to stay warm and cosy throughout winter. As well as being useful items to have in your home, they are also aesthetically pleasing – I think that’s a welcome surprise to our customers. TCS: What are your short-term and long-term goals going forward? LB: Short-term, I’m gearing up for the festive season with large orders to fill and so many fun events to look forward to – Old Spitalfields Market with Urban Makers throughout Autumn, Christmas by the River at London Bridge in the winter, and the Crafty Fox event at the Department Store in Brixton, of course. Long-term, I have plans to expand our collection with a few carefully-chosen items that we’ve been developing. I’m very excited to share them with you when the time comes! Discover Blästa Henriët and lots of other makers in our Shopping With Soul maker directory. Find more maker stories at The City Story.